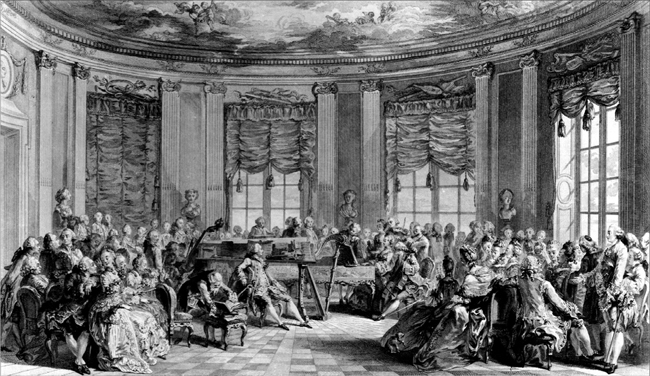 Women composers are not prominent in the history of Western music; in fact, many students of music and lovers of classical concerts would be hard-pressed to mention any female composer. Now at last, it appears that we have a new name to list among the 19th century composers of note—Fanny Mendelssohn Hensel. Her name, of course, is well known because of her famous brother, Felix, but until recently she had been considered a pianist and salon musician who played in private concerts at home, not as someone whose work was worthy to be considered part of the canon. Now at last, as her compositions have been discovered over the last twenty years and studied by serious musicians, she is being taken seriously as a musician. R. Larry Todd, author of Fanny Hensel; The Other Mendelssohn (Oxford, 2010) has studied her music and has named her as the greatest female composer of the 19th century. 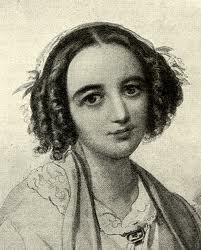 Both Fanny and Felix Mendelssohn were musical prodigies when they were children. By the time Fanny was 12 and Felix 9 years old, they were able to perform in public. Then their paths diverged. Like most women of her time, Fanny’s musical ambitions were strictly curtailed. While her father encouraged Felix to become a professional musician, he told Fanny that she must restrict her music to entertaining the family—the husband and children she was destined to have. Her entire life was to be determined by her gender. Fanny never gave up her musical ambitions, although she did not have as much time to pursue them as Felix did. She generously shared her music and her ideas with her brother and did not became bitter about always being in his shadow. Eventually she fell in love with Wilhelm Hensel, a painter, and the couple had a child, named Sebastian after J.S. Bach, one of Fanny’s favorite musicians. Remarkably enough Fanny was able to make this tangle of love relationships work. She was happy with her husband and doted on her son, but continued to maintain a very close and loving relationship with her brother Felix too. During her lifetime, Fanny’s music was often presented at concerts held in the Mendelssohn home. Fanny carefully arranged the concerts, wrote pieces for them and planned the events. As her son grew up she had more time to devote to her music and as she neared the age of 40 was more and more inclined to think of herself as a professional musician. She was beginning to publish her works, but was suddenly struck down by a stroke and died at the age of 41. When he heard the news, Felix collapsed in a faint. He died within six months of his sister. The rediscovery of Fanny Mendelssohn Hensel as an important musician is a joyful event. And while we celebrate being able to hear performances of some of her works, perhaps we should also celebrate her success in leading a rich, loving life despite the harsh limitations put on her because of her gender. She managed to make life happy for her brother, her husband and her son as well as maintaining her devotion to her own profession. That was a remarkable achievement in her time and an inspiration to us today.